Price: $9990 - A great value to enter the hobby! The 1974 model year was the first featuring dual "rubber bumpers" marking the transition from Chrome bumpers. Interestingly enough, the rear bumper could not be manufactured reliably in one piece this year. The solution was to manufacture it in two pieces and put them together, this resulted in a seam down the middle of all the '74 models. This was the last year for the "Big Block" and the last year that catalytic converters were not used. Cast aluminum wheels were on the order sheet but due to manufacturing problems none were actually delivered. A new "Gymkhana" option was introduced that beefed up the spring rates and suspension. Our offer today is a nice example of the era. 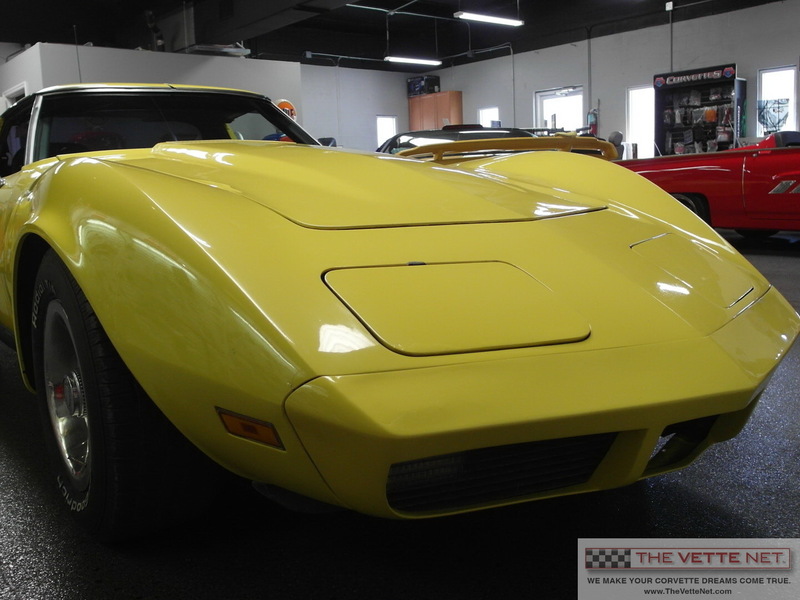 It features a relatively recent Yellow paint which shines very well. The rear bumper was upgraded to a one-piece and the aftermarket spoiler nicely complements it. Car was completely evaluated and all mechanical issues were addressed: AC blows cold, vacuum operates properly, gauges work. Power comes from the standard 350 engine matched with the automatic transmission, both in great working order. Engine has new water pump, belts, new radiator. Interior is clean, all in good shape. New tires adorn the Rally steel wheels all with correct hubcaps and "beauty rings". Brakes are fresh with new master cylinder, booster, new stainless steel calipers. Here is your chance to secure an early Stingray all gone through, needing nothing but a new home... Located in FLORIDA, we will assist with delivery nationwide and all over the world.